If you’re unfamiliar with offset printing, you’re not alone. The process involves an inked image getting transferred from a metal plate, which is called the “offset.” Printers often employ offset printing for larger runs because the cost stays lower than using digital. For those who need to buy in bulk, such as printing lots of flyers or postcards to use in a mailing, offset printing becomes the sensible choice. When you use our facility in Irvine for your offset printing needs, you can also take advantage of our team of professional graphic artists. They’ll ensure you have something with visual appeal to hand out to prospective customers. We can use your existing logo, or come up with a new one to help brand your business. We can also clean up any existing artwork you upload to make it look more polished. 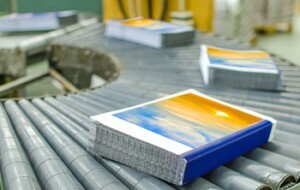 Avanti Printing boasts lightning-fast turnaround times. We can have your materials ready for you by the next day when you’re in a hurry, or in two to four days for most standard orders. With our direct-to-plate technology, we can use offset printing to produce things almost as quickly as digital printing. We serve all of Orange County, and even offer free delivery within the county to save you the time and the money of sending someone out to get it. Not in the OC? We can ship too. Get in touch with us today to get a free quote on your order. Request A Quote For Offset Printing Today!